When you are in the middle of a hard time, such as after the loss of a loved one, a health crisis, financial troubles, problems in relationships or other difficulties, it can be hard to find a reason for hope. The swirl of emotions that arise during these times can create physical symptoms of pain and discomfort, and sometimes it is a struggle to even get through the day. When these times come, it’s easy to sink into the emotions and see the world in a darker light. But it is possible to retain a sense of optimism – even just a small one - in challenging circumstances. Here are a few ideas to help you find optimism during hard times. Open yourself up to seeing the small points of light all around you. This is different for each of us. 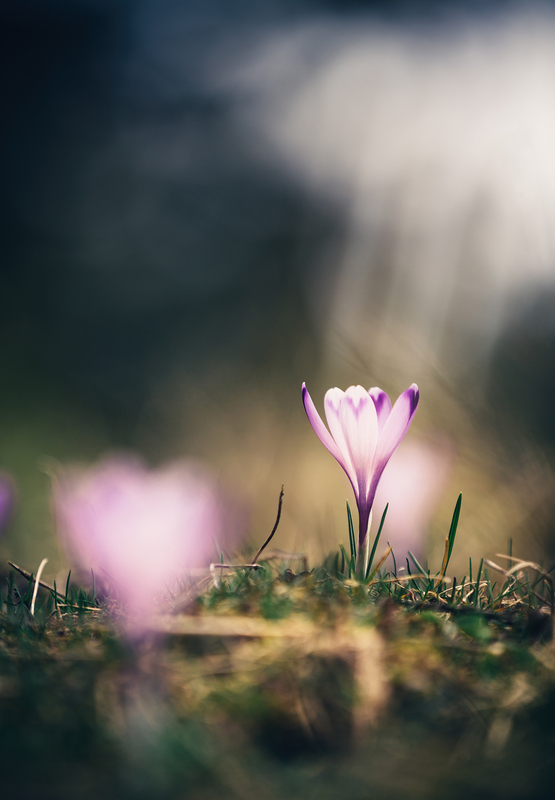 For some, it might be the early spring flowers – crocuses, daffodils and tulips that emerge after a long winter that gives you that small spark. For others, it could be the sight of the latest model of a favorite car tooling down the street. Maybe it is a funny meme or cat video. It is okay to find a moment of joy or happiness during your sadness. It will help you keep going through the next hard thing. Challenge yourself to find one positive thing that happened in your day. If you can’t find one, call a friend or family member and ask them to tell you a funny story or something good that happened to them that week. Let them know that you are struggling and need to get your mind off what is going on. Get out in nature. Fresh air can do wonders for our state of mind. Visit a park and sit on a bench or a swing, shoot some hoops or watch a community baseball game (whether you know the team or not). Take a short walk around your block, noticing changes to your neighborhood and signs of growth. If you are a spiritual person, lean on your beliefs and spiritual practices. These can provide great comfort and purpose when life is difficult. Gathering with others who share your beliefs can be powerful too. Think about other hard times that you have survived. Don’t spend too much time dwelling on specifics, just take note of them and remind yourself that you made it through that situation, and you will make it through this time as well. Make a list of these if you are a list-maker and save it to remind yourself of how far you’ve come. Don’t try to get through it on your own. We all need support during life’s hard times. Even if you feel like keeping to yourself, try to reach out to friends and family. Spending time with others can take your mind off your circumstances and helps you get out of your own head. It is also okay to seek out a counselor for additional support. Since they are not personally involved, they can often give you a different perspective on your situation and help you process what is going on. Turn off the news. Being informed about current events is a good thing, but the constant cycle of negativity, and sensationalism can fuel fears and spur more negativity. There will be time later to catch up on the important events. Do something nice for someone else who is going through a hard time. Prepare a meal for them, send a card, help them fix something around the house, or just take them out for a beverage and conversation. You don’t need to have the answers to their situation; just your presence and thoughtfulness is enough. Or, pay it forward to a complete stranger, like the person behind you in the drive-through. Pay for your meal and theirs and you'll make their day and maybe the drive-through window attendant's as well! Life can be hard and have devastating moments and seasons. But there is also joy and peace to be found. An optimistic outlook may not alter your circumstances, but it can help you cope with the emotions and physical symptoms that come during hard times, and help you through.